The regular attacks that target economic infrastructure of Yemen, including towers and electricity cables as well as oil pipelines, have become a common issue for the Yemeni community. Such attacks are the main reason for the state’s budget deficit and the worsening economic crisis in the country. These attacks have been repeated weekly for over three years. After an oil pipeline is fixed, it gets newattacked again. With every attack operation ,government sends a Mediation Committee to this or thatarea to convince the tribes to allow the technical team to repair the oil pipeline and listen to theirsocial and personal demands for resuming the oil pipeline operations. Recently, the main oil pipeline in Yemen was stopped for ten days after an attack that cost the government about $100 million to fix. 45 hours after repairs were done, a group of gunmen blew it up again. This happened in Marib near by the Military Area Command and four other military brigades, stationed a few kilometers far from the oil pipeline. In Yemen, there are about 13 sedimentary basins, but oil production is limited to two main sedimentary basins in Marib and Hadramout. This means that oil production in Yemen is limited to a 21.957 km2 area, which represents only 4% of the total area of the oil concession map. Crude oil is produced from three groups, classified according to the convergence in the oil specifications and export ports. A. Marib (Production of five companies through the oil pipeline of Safer Company). B. Massila (Production of five companies through the Massila oil pipeline in south Hadramout). C. West Ayad (Production of one company through oil pipeline to Balhaf Shabwa). Crude oil from the second basin, Massila, is exporting crude oil through Alshihir port. The Yemeni government sells its crude oil through international tenders announced monthly by the Supreme Committee for Oil Marketing, which was established in 2009. The government declares the amount produced from the third group, West Ayad, without revealing its destination. Regarding oil from the first basin, Safer, most of the quantity is refined in Aden refineries and they sell it for the local market, limited quantities are for direct export. Mostly ,the attacks against the oil pipelines target the Safer oil pipeline more than Alshihir oil pipeline. The oil produced from Safer basin including the oil of the rest five international companies passes through a wide area approximately 403 km, starting from the production fields of Safer oil block 18 in Marib to Ras Issa in Hodhaidah province. After that, the engineers facilitate the process of export through the sea to Aden refineries in a process takes 21 days. 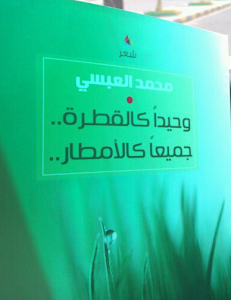 Later on, it gets distributed for consumption from Hodhaidah to the rest of the governorates. Through this long process, there is an absence of the government’s strategic plans due to the long distance between the refineries and the main production blocks and the government hasn’t developed the Marib refineries since it has been found. Marib Refinery refines 10,000 barrels per day compared to 150,000 barrels in Aden. The wrong planning causes many burdens such as the lack of oil for many days, especially when sheikhs cuts the road to stop vehicles between Sana’a and Hodhaidah road. Also, it cause the pricesincrease because of the transportation costs, not just that, smuggling take place very easily despite the government regular complains. The problem isn’t truly with the long distances of Safer pipeline that passes through, because the export liquefied gas pipeline abroad extends from the same fields of Safer and passes through the same distance of 420 km. However, the army and state protect the gas pipeline, and the number of bombings of the gas pipeline is much less than the number of bombings of the oil pipeline. This raises questions for many people.Meanwhile, the losses of Safer, which is considered the biggest oil company in Yemen, reached $472 billion due to repeated attacks on the pipeline. According to the government data, Yemeni proceeds of crude oil reduced by $661 million in the first nine months of 2014 because of the decline the government’s share of the total production of 24 million barrels in 2013 to 19 million barrels in 2014 due to repeated attacks of the oil pipeline. State revenues declined in 2012 by 409% from revenues in 2011 and 2010 according to another report by the Ministry of Finance. In the past, tribesmen were blowing up the oil pipeline in order to force the government to release detainees or to pay financial compensation for alleged losses. However, in the last two years, bombings of oil pipelines have become like a black market and the easiest way to sign agreements between government military officials who protect the oil pipelinesand tribal Sheikhs. According to official reports, the pipeline was exposed to five attacks over 17 years from 1992 to 2009, while the number of attacks during 2012 was 40, and 36 attacks in 2013. It is worth mentioning that the gunmen who blow up the oil pipeline and electricity cables are not men of caves or individuals who live on high mountains as public understand, but they are sheikhs of who lives in a well-known areas who mostly inform the government of their wells in advance. Instead of arresting those who are involved in the bombings and punish them, the Ministry of Defense along with the ministry of Interior turn the facts into news agencies to fabricate the news for mostlythe past two years. In addition, the policy of sending mediation committees to implement the demands of tribes and pay money to them has contributed to the increase of attacks. Also, the common belief of the government and political elites in Sana’a is that the bombings are implemented by former regime loyalist. All evidences confirm that the motives of sabotage are purely economic, where a group of sheikhs and tribal leaders and military commanders are benefiting from that bombings. Accusing the military leadership who are responsible for protecting the pipeline is common. Theexecutive general manager of Safer, Eng. Ahmed Kulib, has publicly declared that security agencies and the government departments are uncooperative with the company that brings the country the highest source of income. . Safer beings the oil operation of Block 18 by 2005 under the rule of the International Tribunal in the most famous dispute between Yemen and oil companies from the former operator of the block Hunt. Hunt still operates in the oil block in Yemen and it owns a remarkable share in the largest LNGproject in Yemen, the source of Yemeni liquefied gas.